For beginners, sheet metal stamping can be one of the most often overlooked and forgotten processes for creating precision formed parts and components. A lot of modern products are sturdy yet very lightweight despite being made of metal. The reason for that is that the product design has been honed to such a degree that we can create even highly loaded structures from thin sheets of metal. Sheet metal stamping is one of the technologies that enables us to create such thin-walled objects. Sheet metal stamping is a manufacturing process that does not subtract or add material to the future parts. 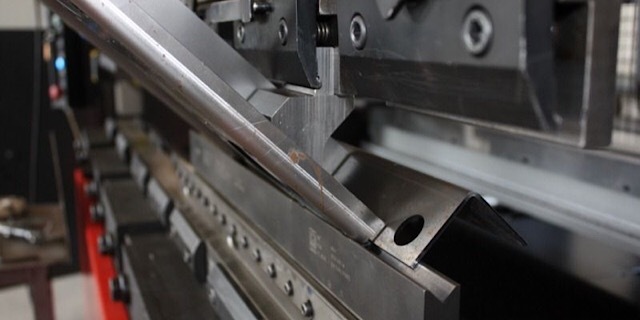 This method uses forming to bring straight metal sheets into the required form. 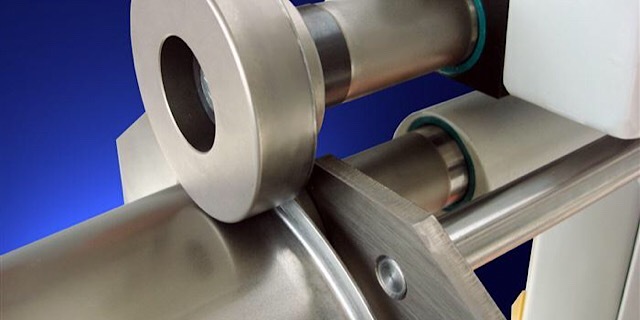 Basically, you bend metal sheets on a specialized equipment using special dies and punches. Commonly, the process does not require any heating of the sheet and thus has no heat distortion. This fact makes the process economical and eco-friendly as well. However, if you need a part manufactured from a thick metal sheet, the force necessary to bend it may be too large. That's when you will need to heat the metal and refer to forging. There are a lot of different metal stamping processes. Each of them is quite basic but as a combination, they can yield almost any geometry possible. Here are the most widespread sheet metal stamping processes. 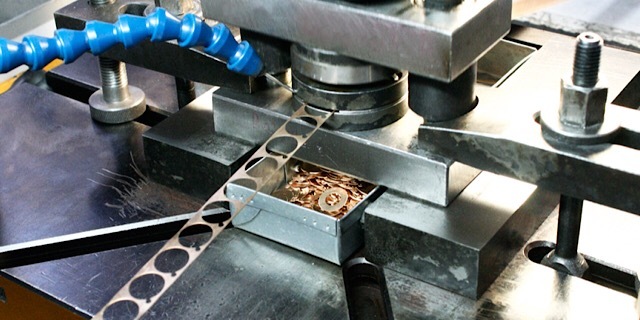 Blanking is often the first operation to be carried out among the stamping processes. It requires a press with a sharp punch. The metal sheets are usually supplied in large sizes such as 3x1,5 m. The majority of parts are not as big, so you'll need to cut off the section of the sheet for your part, and it would be ideal to get the desired contour of the final part right here. So, blanking is applied to get the contour you need. 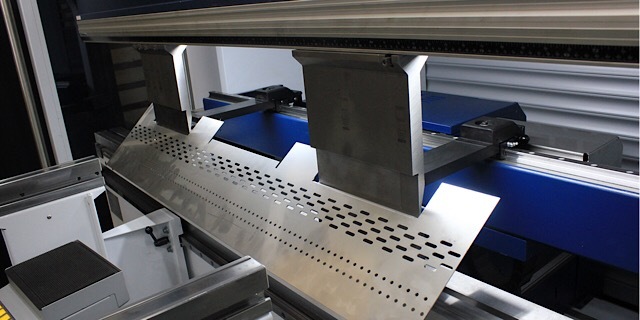 Note that there are other ways to make a metal sheet blank such as laser cutting, plasma cutting or water jet cutting. Bending is the basic operation to make the simplest metal stamping parts. You simply bend a metal sheet along a straight line to the required degree. 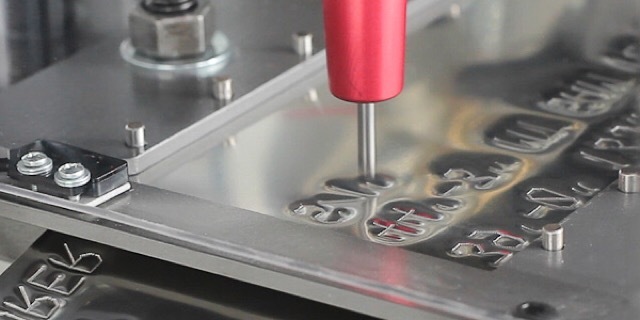 In order to do that, you'll need a stamping die with a V-shaped cavity, manufactured to the required angle and a corresponding punch. Flanging is basically similar to bending but is done along a curved line. This makes the operation slightly more complex and a special flanging equipment must be purchased. Embossing is very much similar to engraving but the second one cuts a small portion of the metal to create a logo or a sign on a metal part whereas embossing uses a preconfigured punch to make the indentation in the form of the required message or image. 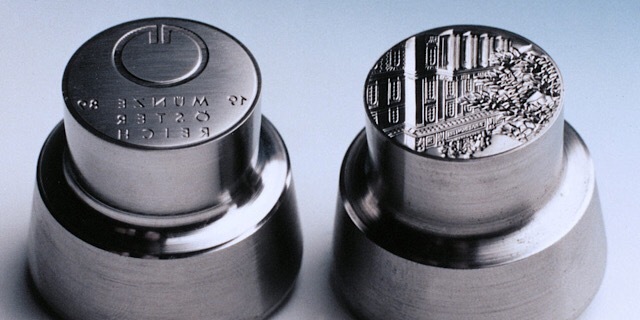 Coining is similar to embossing as it is used to create patterns or messages on sheet metal as well. However, when you emboss a sheet, you will get an indentation on one side and a protruding pattern on the other side of the part. Coining is different in that matter. It uses much more pressure to accomplish. Instead of a punch, a die with a cavity is pushed into the part until plastic deformations occur and the metal flows into the die cavity. The result is a protruding pattern on one side of the part and a smooth surface on the other side without any indentations. Stretching is a process greatly valued by the auto manufacturers. The process consists of fixing the edges of the sheet into special jigs and pulling. There is no other forming operation, the sheet is simply stretched. But the result yields a very smooth sheet. That's how those beautiful car bodies are so smooth and flowing. Dies are the most important elements to ensure the stamped sheet metal dimensions and precision. A typical die system must include the die with a cavity and a corresponding punch so it's better to design them together. The material for cold sheet metal stamping dies depends on the predicted batch number. If you are going to produce identical parts in 5- or 6-digit numbers, you'll need hardened instrumental steel for the dies to withstand the loads. If you are making some custom sheet metal parts, you can do with simple steel or even some of the sturdier aluminum alloys. Rapid prototyping techniques that employ CNC aluminum machining can make such dies in a matter of days so you can get prototypes very fast but to manufacture durable dies, you'll need considerable time and investments into sheet metal stamping services. Sheet metal stamping processes require special equipment. The most commonly used machines are presses. A press is basically a machine that can push down on a metal blank with the intent to form it in a required way. Depending on the frequency of its use and the number of parts manufactured on it per year and their thickness, it can be either mechanical or hydraulic, manual or CNC. Hydraulic CNC presses are the most efficient machines for stamping sheet metal. If equipped with an automatic sheet feeding device, they can make stamped metal parts without any interference from the machinist. Having manufactured the required sheet metal parts, you can employ a number of assembling techniques to easily finish the product. For example, sheet metal riveting, widely used in the aerospace industry, is an easy way to create complex stamped metal assemblies without unnecessary heat distortion. You'll need to make wholes for the rivets prior to assembling. The rivet is a sort of a bolt pushed into the hole and then deformed to fix the parts in place. Metal welding parts is another way to do it. There are two welding options that will be very useful if you want to make this your joining operation choice. Pin point welding is an extremely fast, easy and high-quality welding methods. The two sheets are placed between cylindrical electrodes. The electrodes clamp the sheets and heat the area where the parts touch until it melts and fuses them together. The whole operation takes less then a minute. Arc welding is the most common welding process and it's main advantage is that it allows you to make watertight joints easily , so if you are making some kind of a tank, arc welding is sure to help you. At WayKen, we can offer a fast and cost-effective precision stamping solution for manufacturing various components, ranging from micro-miniature parts to large, intricate components. 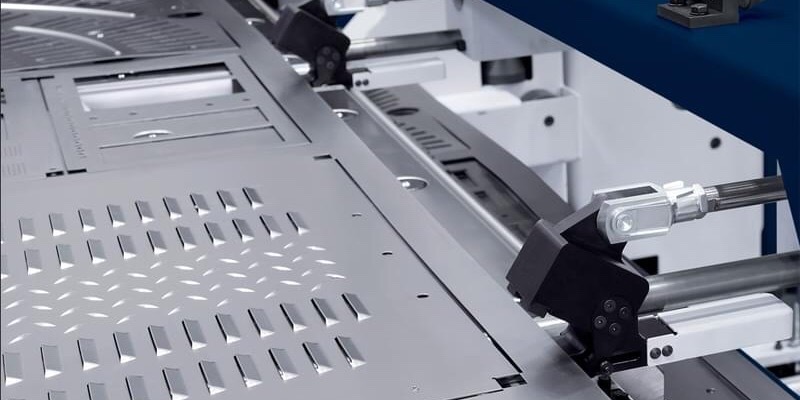 Also, we can provide rapid prototype manufacturing services include single-part transfer and progressive strip prototyping to facilitate low volume production till invest high-volume production. To learn more about WayKen's custom metal stamping capabilities, or any questions about your next related projects, please feel free to contact us here.